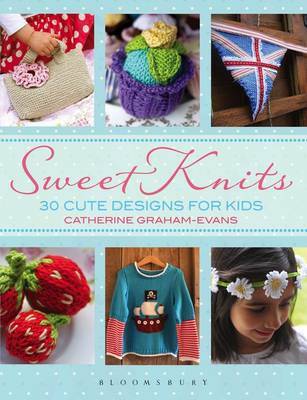 Some children like to slay dragons, others prefer to sip tea with princesses, but any child will find something to wear, play with and love within the creative knitting patterns featured in Sweet Knits. From flower-shaped tea cups to cute summer dresses, cosy jumpers to fun room decorations, these projects encourage customisation for truly unique pieces full of personality. Step-by-step instructions and charming colour images accompany you through each and every pattern. The projects are easily adapted to suit knitters of all levels, as easy alternative directions are given alongside any tricky or complex design elements, and tips are provided throughout on how to simplify patterns. Garments come in sizes for children from birth to ten years, and there are even a couple of items for grown-ups, too! With suggestions on how to adapt and personalise each design to make unique pieces, the projects in Sweet Knits provide cosy hand-made treasures that grow with your child and stir young imaginations.